Tesla and SpaceX CEO Elon Musk announced today that he plans to build a test version of his Hyperloop transit system, and that test loop will likely be built in Texas. 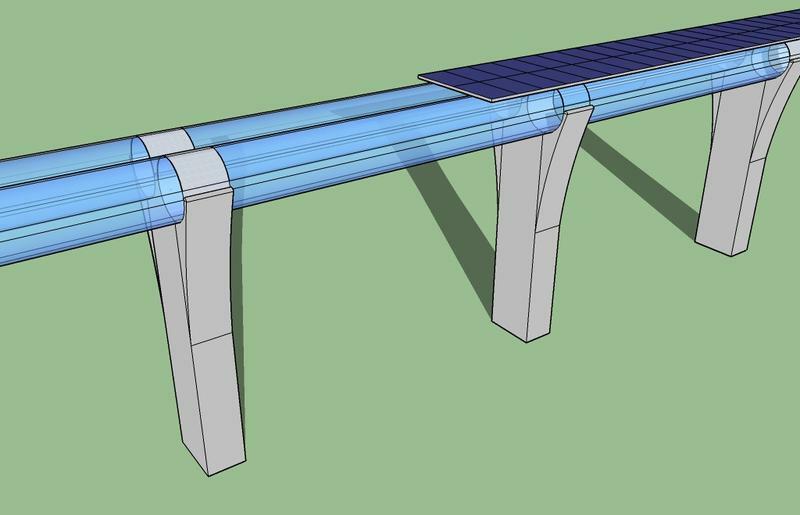 Musk announced plans for a Hyperloop in California in 2013. The high-speed transit system would move at rates up to 800 miles per hour, potentially cutting the five-plus hour drive from San Francisco to Los Angeles down to about an hour. The test track potentially in the works for Texas would be a five-mile loop, Musk said. One trip around that loop would take about 22.5 seconds. The Hyperloop would work like a pneumatic tube, moving people with "a combination of low air pressure and magnetic acceleration," according to a report from Hyperloop Transportation Technologies, a Hyperloop development company unaffiliated with Musk. Hyperloop consists of a low pressure tube with capsules that are transported at both low and high speeds throughout the length of the tube. The capsules are supported on a cushion of air, featuring pressurized air and aerodynamic lift. The capsules are accelerated via a magnetic linear accelerator affixed at various stations on the low pressure tube with rotors contained in each capsule. In an interview today with Texas Tribune CEO and Editor-in-Chief Evan Smith at the Texas Transportation Forum, Musk said he envisions a test facility that would let companies and students test out pods. "People could compete, say, okay, who could make their pod go the fastest and maybe compete on other dimensions. I think that could be pretty fun," Musk said. The test track idea is still in the early stages, and in fact, Musk told Smith that it sounded good last night after a couple of drinks. But Musk's Tweets from earlier today indicate that plans may, in fact, be going forward. For more on the Hyperloop and on Musk's push for Tesla sales in Texas, read Aman Batheja's story at the Texas Tribune. 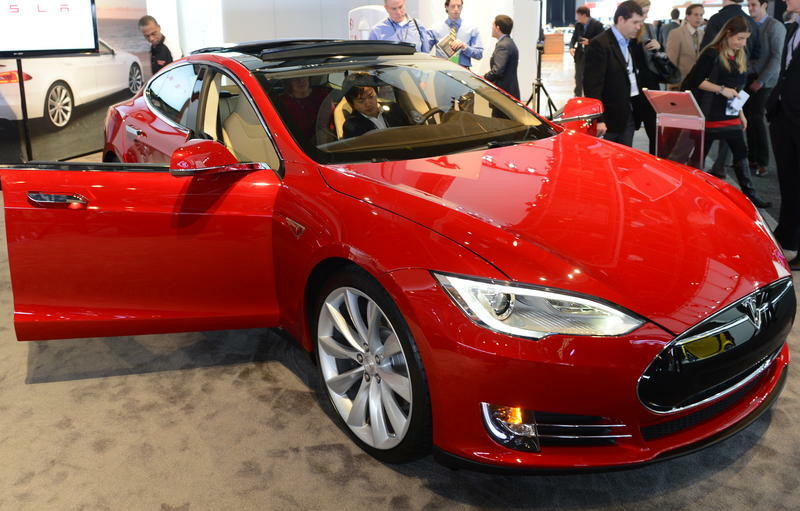 High-flying billionaire Elon Musk's Tesla Motors has seen its shares skid the past couple days because they've been downgraded by analysts and because of a YouTube clip showing one of the all-electric luxury cars engulfed in flames earlier this week. Just before noon ET, a share of Tesla was trading around $169.50 — down about 6.5 percent for the day and $25 (13 percent) below its 52-week high of $194.50.